The Liberty Mini Garland is a stylish way to decorate your party space. 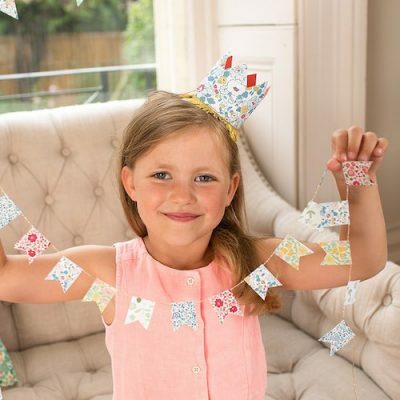 Featuring the classic Liberty floral patterns on 30 pennants and shimmering metallic thread, this garland makes very simply party decorating. Being a long 3 m garland, you could also snip a small section off the end and use to create your own coordinating cake bunting. 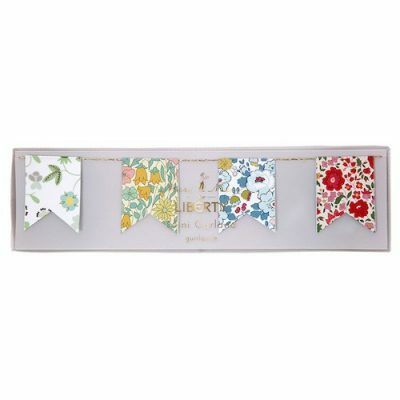 You could team this up with the standard sized Liberty Party Garland and our Liberty Betsy Paper Napkins.